CNG Business Services is a fast-growing marketing company focused on the Small and Medium Sized Enterprise (SME) market. We enable smaller businesses to buy quality products and services from suppliers at the same low prices that the largest businesses obtain. CNG Business Services is part of The CNG Family of Companies, a successful family owned business founded in 1971 with retail stores & property interests around the country. As we are a family owned business, we understand the financial challenges that many of you face on a daily basis in your company. CNG Business Services’ aim is to save your business money. We use our significant economies of scale to negotiate lower prices for goods & services from many leading national suppliers, helping you compete more effectively and directly improve your bottom line. All the products & services we supply are at prices significantly below those that an individual business could obtain. We also provide a range of outsourcing solutions from our Indian office in Mumbai, We work with all types of businesses, regardless of where they are located in the world. We provide skilled, support personnel with numerous different skill sets, at a much lower cost than doing this anywhere in the West. Some clients work with us for periodic campaigns and some work with us continually with us providing them 24/7 headcount, but in our offices. 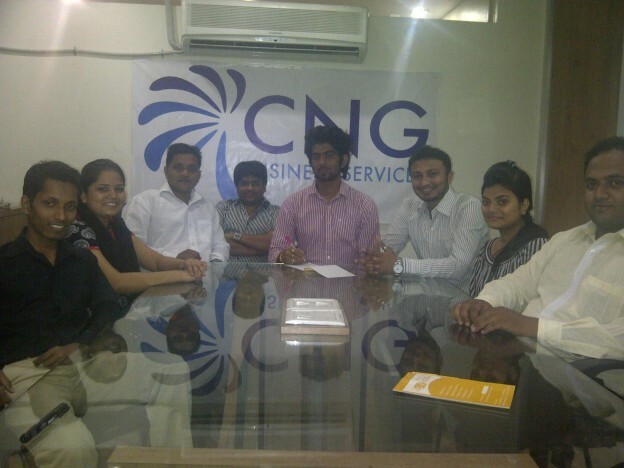 Any business can benefit from CNG Business Services. From hotels to hospitals, brands to barbers, accountants to actuaries, convenience stores to colleges, we have over 3,000 customers of all sizes in a wide variety of industries, all of whom have saved money because of us. With CNG Business Services, you can negotiate like a multinational. Word of mouth has fuelled our growth. In 1984, our sister company Capital News Group started helping a handful of retailers obtain preferential rates on ice-cream. The word soon spread and we were referred to thousands of retailers each of whom we helped obtain preferential terms, at no cost to them. CNG Business Services’ has now assumed this side of Capital News Group’s operations and has expanded both the supplier and customer bases. We are now able to answer the many requests that Capital News Group has had to apply its bulk purchasing power to other products and services. CNG Business Services’ management and advisors are highly respected and combine many years of retail, finance, small business and entrepreneurial acumen, along with a healthy dose of social responsibility. Together, these skills have enabled the company to recognise a market opportunity and negotiate highly competitive rates from suppliers, which we in turn pass on to you. Sanjeev was a banker with Citigroup in London before he moved to Los Angeles where he studied for his MBA, with emphasis on Entrepreneurship and Real Estate at the Anderson School at UCLA. He then worked for Bond Companies, a real estate private equity & development company in Santa Monica before coming back to the UK to launch CNG Business Services, CNG Polska, Thrive News and oversee the transformation of Capital News Group into The CNG Family of Companies. 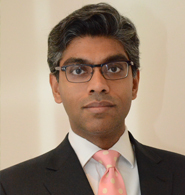 Sanjeev oversees our marketing, advertising and PR strategies. Ken qualified as a Chartered Accountant in Nottingham and then joined Coopers & Lybrand in their computer audit department where he developed in depth knowledge of various computer systems and programming languages. Since then Ken has worked mainly in the retail industry, applying his finance and technology skills there and he has been an integral part of The CNG Family of Companies team since 2001. He is responsible for the finance and technology side of the business. Shirley brings extensive accounts experience from various food, leisure & tourism companies, both in the UK and Spain. Shirley joined us in 2009 and is responsible for managing our various supplier accounts and assists Ken with our financial reporting. Here are some of our team based in our Mumbai, India offices. All the team are multilingual and each member brings valuable skills to our organization. Altaf is based in our Mumbai, India office and supervises our sales and customer support teams He is experienced with working with UK customers in various industries and has done so for many years. He is supported by a number of colleagues with expertise in numerous South Asian languages who are on hand to ensure we can provide support to all our customers. He is responsible for developing new and existing customer relationships, managing supplier relationships and implementing our business growth strategy.